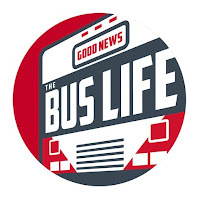 Join the Good Family as they go to the store to seek out at the August edition of Good Housekeeping Magazine with an article written about their family and their life on the Good News Bus. Please click the "Like" button on the video. Oh, and don't forget to subscribe as well. You are such a fun family! I can't wait to get my copy of your article!!! Cute video too! God bless you all and keep you save on those roadways! Your send a very nice video to see. After seen that video i am also want to go with my family. Really super and keep it up! enjoy well and god bless you.Thanks to shared your happiness with us.